TaZzZ Is Dropping Another Video From His Album Epic Dreams! Rapper TaZzZ rose to fame before a lot of rappers but unfortunately he went on a hiatus. March of 2017 witnessed his return through his debut album – Epic Dreams. While a lot of people loved the album, most of desi hip-hop audience is sleeping on this masterpiece. TaZzZ dubbed a verse for one of the biggest hip-hop collaborations – “Ego (Remix)”. People who keep a close eye on the hip-hop scene recognised him from his voice alone. Coming back to the album, tracks like “Teardrops”, “Ayaan”, “Jannat” & his famous collaboration with Guru Lahori and Mohan Singh acted in TaZzZ’s favour. 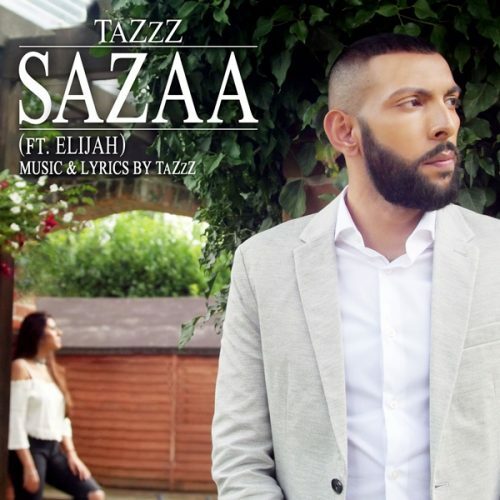 TaZzZ recently released the teaser of his song “Sazza”. In fact, “Sazza” was the sixth track on the album. In addition, TaZzZ produced and engineered the track and brought Elijah on board after five years. Last time they came together was in 2012 for the track “Tere Bina”. In fact, the track was a commercial success and crossed millions of hits on YouTube alone. Most of all, “Sazaa” sounds epic! Since not everyone achieves this level of success, we decided to ask TaZzZ about his parent’s reaction towards his success. TaZzZ wrote “Jannat” for his mother and the emotions will bring tears to your eyes if you hear it closely. Full music video is coming out on August 31, 2017. Epic Dreams is available on all digital music distribution platforms so don’t wait for purchasing it.